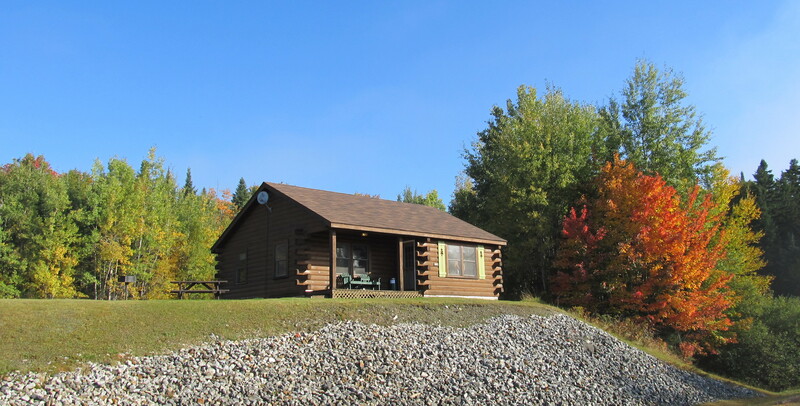 Located on First Connecticut Lake, these five cabins are steps from kayak and motorboat rentals, our private pebble beach and docks, and a fantastic view of Mt. Magalloway. 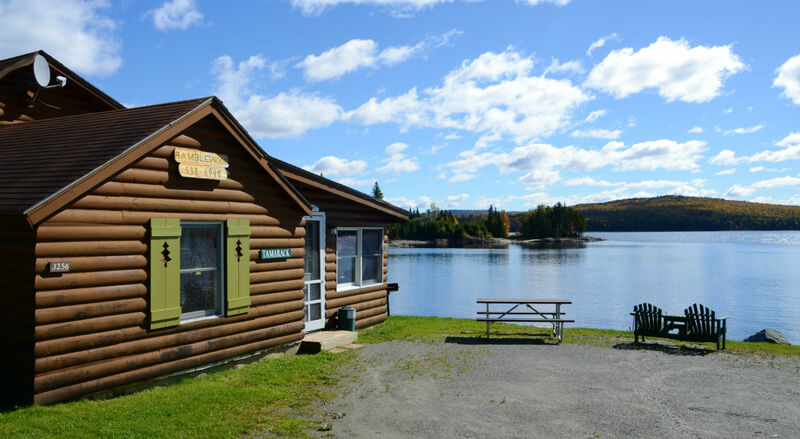 Less than a 1/2 mile up the road, you can enjoy ice cream and shop for gifts as well as try to spot wildlife along the famed “Moose Alley”. They are located 1/2 mile from our office, campground, and game room. Views of First Connecticut Lake and easy access across the road to boat rentals. Rustic log and covered porch outside, with adirondack chairs and barbecues in summer. Two bedrooms, full kitchen, 3/4 bathroom and all linens included inside. Views of First Connecticut Lake and easy access across the road to boat rentals. 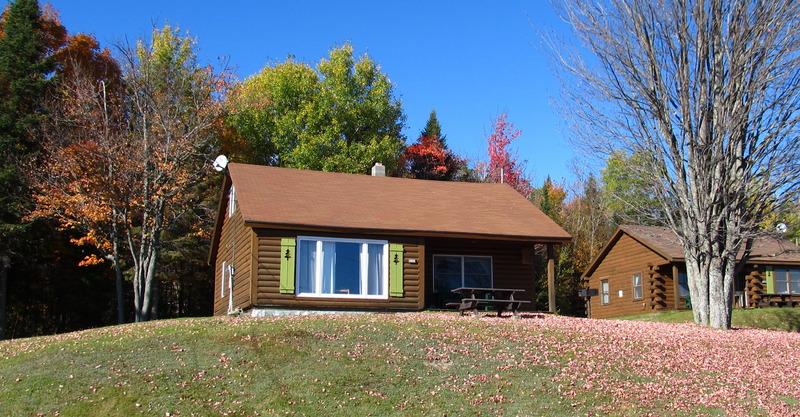 Log cabin with 3 bedrooms, full kitchen, 3/4 bathroom and all linens included. 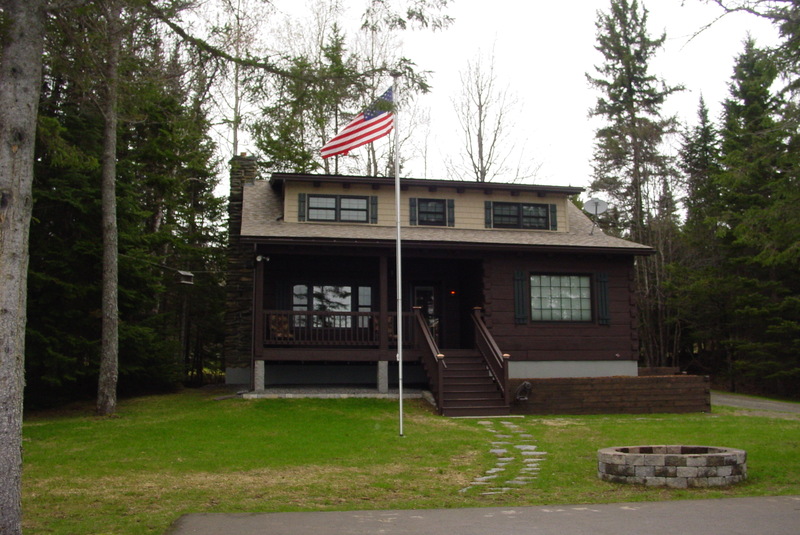 Located feet from 1st Connecticut Lake, with the cabin’s own private dock. Original log construction and cathedral ceiling, with adirondack chairs and firepit outside. Two bedrooms and a hallway on the second floor, and one bedroom next to full kitchen. 3/4 bathroom and linens included. Two story secluded waterfront cabin with 2 bedrooms. 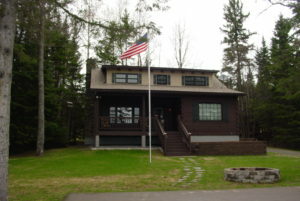 It offers privacy , great lake and Mountain views with all the comforts of home; bathroom, full kitchen outfitted with dishes and cookware, living room with satellite TV, wireless internet, Verizon cell service, charcoal grill, fire pit, picnic table, private dock and shore as well as comfortable chairs to relax in. No Pets Allowed in this Cabin.